New 2DS XL Clear Case, Keten Ultra Clear Crystal Transparent Hard Shell Protective Case Cover Skin for 2017 Nintendo New 2DS XL LL . Only for New 2DS XL- This clear case is specially designed for 2017 Nintendo New 2DS XL. Perfect Match- Each gap is finely calculated. It will perfectly fit your Nintendo New 2DS XL. 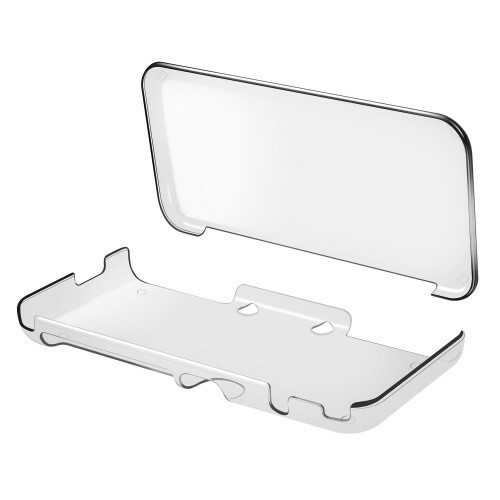 Anti-Scratch- With this case, no worries again about the scratches and protect your New 3DS XL / LL against everyday hazards. 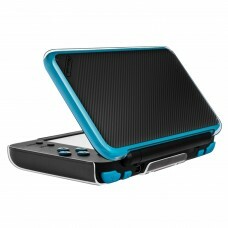 High-quality Material- This case is made of imported durable plastic material from Germany and it is super lightweight. What you get- 1* Nintendo New 2DS XL Clear Case (Note: the Console is not included) Keten offers 45 days 100% money back and Lift-time guarantee. If you have any questions, please feel free to contact us. We will help you to solve any questions within 24 hours. 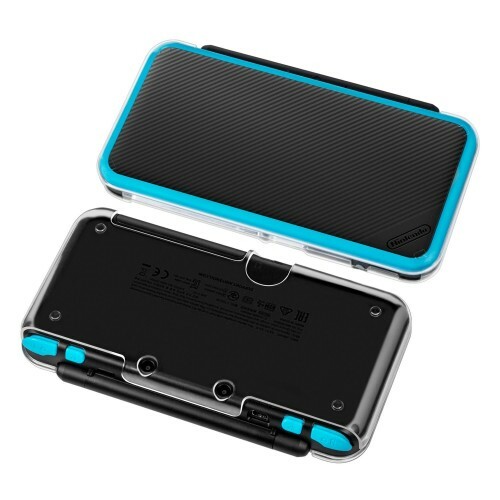 This is perfect for protecting your New 2DS XL from everyday knocks and bangs. 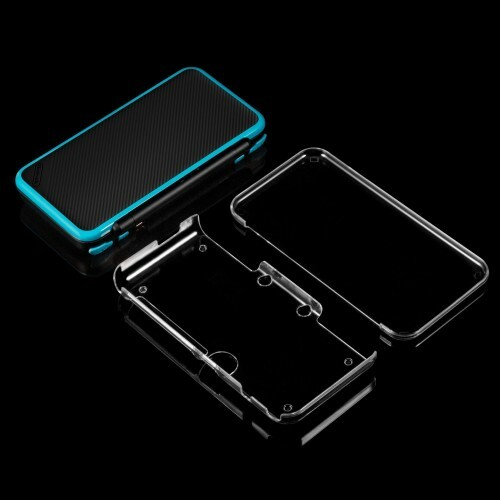 Designed to provide slim protection for the New 2DS XL, the Crystal Case measures only a few millimeters in thickness so you will hardly notice any added bulk to the slender design of the New 2DS XL. 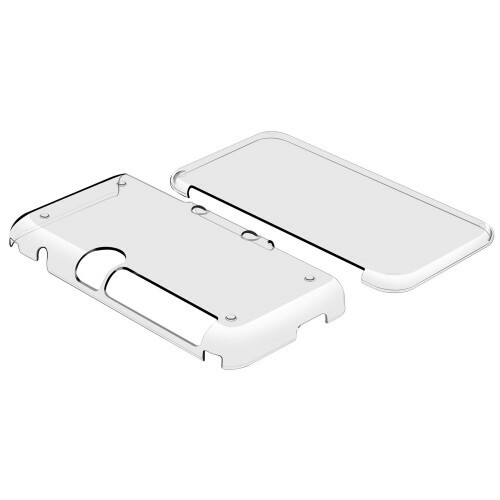 The simple snap on design of this tough polycarbonate case allows for easy installation and removal without causing damage to your New 2DS XL. The polycarbonate shell has all of the appropriate cutouts for the ports and features of your New 2DS XL. 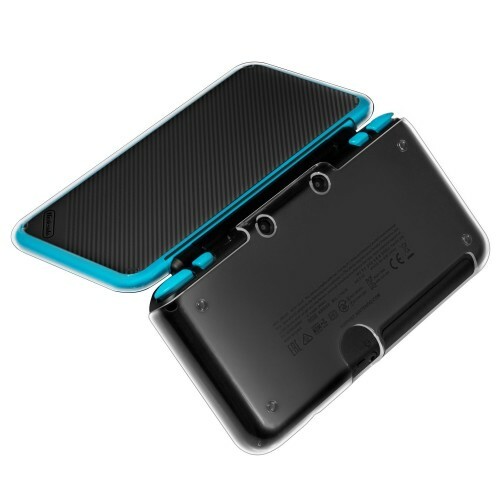 This hard shell case is super easy to install and perfectly match with your New 2DS XL. And it is also easy to remove from the console. Add no bulky feeling to your New 2DS XL/LL. Keep your device safe and protected in style. Crystal clear case preserves the original color and design of your device with greatest protection. Precise cuttings allow easy access to all ports and functions without removing the case. Clear top and bottom pieces to show off your Nintendo NEW 2DS XL's colors or special edition designs. * Charging whilst in the case is supported via the charging cable method, but is not compatible with charging docks due to the difference in thickness. * Not compatible with Nintendo 3DS, 3DS XL and NEW 3DS system, only compatible with Nintendo New 2DS XL. * The Console and other accessories are not included. Keten offers 45 days 100% money back and Lift-time guarantee. If you have any questions, please feel free to contact us. We will help you to solve any questions within 24 hours.